How is everyone spending their (holiday) weekend? 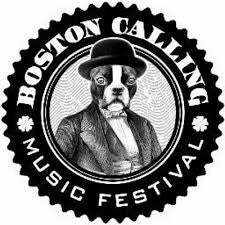 I'll be spending today and tomorrow at Boston Calling, which should be fun and expensive and allergy filled, oh my! I'm a little nervous about my allergies, because I already closely resemble Will Smith in that one movie (I can't remember the title) where he gets a crazy allergic reaction and his face blows up. I can see the ginormous bags under my eyes while looking straight ahead and even my top lids are puffy. So, pretty much I'm lookin' hot. But anyway, I'm excited because one of best girlfriends is coming up from NYC for the weekend with her sis and cousin, so it will be fun to hang out with them too! Double score! Alas, I don't get Monday off because most of my work is for international clients and, you know, they dgaf about US only holidays. Whamp, whamp. Anyway, what exciting or thoroughly relaxing plans do you have GT?